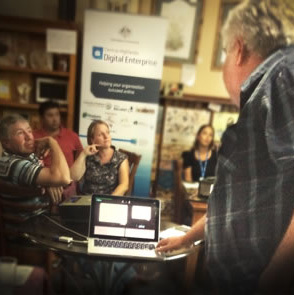 DigiBiz was formed in 2012 as the Central Highlands Digital Enterprise program, an Australian Government-funded initiative under the Digital Enterprise program. Federation University Australia through the Centre for eResearch and Digital Innovation (CeRDI) worked with regional stakeholders, Regional Development Australia Grampians, and the City of Ballarat, Golden Plains, Hepburn and Pyrenees Shires to deliver a skills development program aimed at assisting regional businesses and not-for-profit entities. There are various digital training opportunities still available to DigiBiz clients including fee-for-service workshops and masterclasses. Visit our contact page if you would like to discuss these opportunities. CeRDI also continues to seek collaboration opportunities to conduct further training in the region. 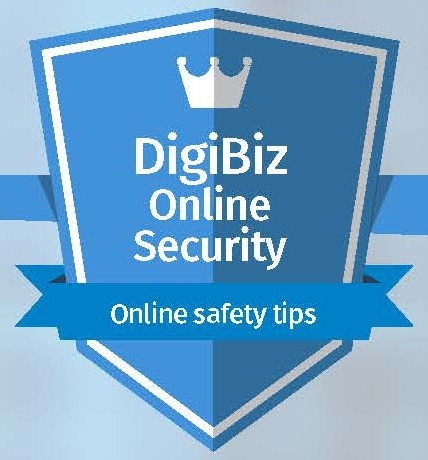 DigiBiz has created a suite of resources and presentations to assist you with your online business needs. Important cyber security information, links to useful websites and media clips are also provided. Workshops and masterclass sessions are available to small businesses, community groups and associations. Plan your business or group's future technology and eMarketing needs.